Visual representations are an essential but highly contested means of understanding and remembering the Holocaust. Photographs taken in the camps in early 1945 provided proof of and visceral access to the atrocities. Later visual representations such as films, paintings, and art installations attempted to represent this extreme trauma. While photographs from the camps and later aesthetic reconstructions differ in origin, they share goals and have raised similar concerns: the former are questioned not as to veracity but due to their potential inadequacy in portraying the magnitude of events; the latter are criticized on the grounds that the mediation they entail is unacceptable. Some have even questioned any attempt to represent the Holocaust as inappropriate and dangerous to historical understanding. This book explores the taboos that structure the production and reception of Holocaust images and the possibilities that result from the transgression of those taboos. 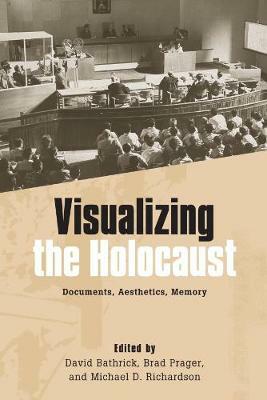 Essays consider the uses of various visual media, aesthetic styles, and genres in representations of the Holocaust; the uses of perpetrator photography; the role of trauma in memory; aesthetic problems of mimesis and memory in the work of Lanzmann, Celan, and others; and questions about mass-cultural representations of the Holocaust. David Bathrick is Emeritus Professor of German at Cornell University, Brad Prager is Associate Professor of German at the University of Missouri, and Michael D. Richardson is Associate Professor of German at Ithaca College.